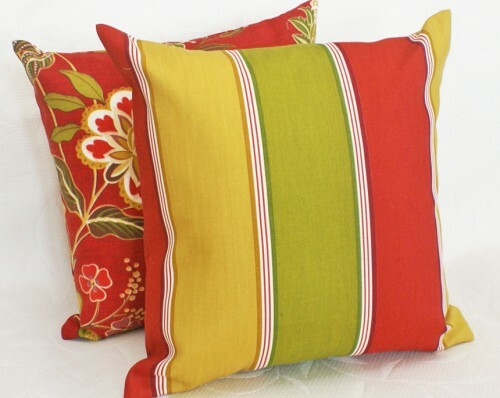 It`s been a terribly short summer here in Vancouver, Canada, so all the more reason to add some bright and cheerful patio pillows to our outside living areas. With summer half over, its great fun to snag a heap of cheap and cheerful summer clearance sales early! 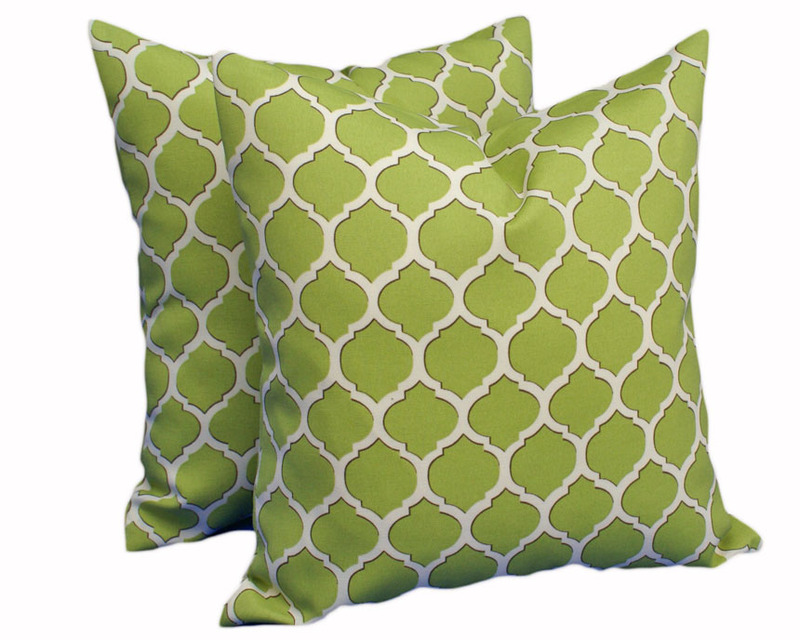 These patio pillows are fade and mildew resistant to handle the outside elements but there is no reason not to bring them indoors and enjoy them all year round. But don`t fill up all your indoor pillow perches yet because you need to save some room for a fabulous 2011 FALL COLLECTION that I am getting ready. With an eclectic collection of over 300 pillows in my Etsy store and icraft.ca (Canadian) store, the whole point of this patio pillow sale is to make room in the store for MORE NEW pillows … LOTS MORE! 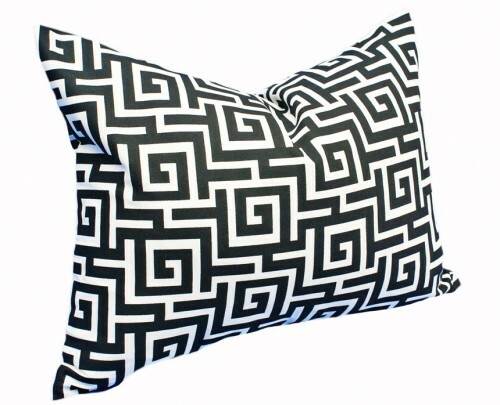 Most of these patio pillow designs will be on sale until cleared out or until August 31 and some are already in very limited supply. If you see something here that says `buy me, buy me`… grab it now. Here is a sampling of those great summer deals you should jump on! 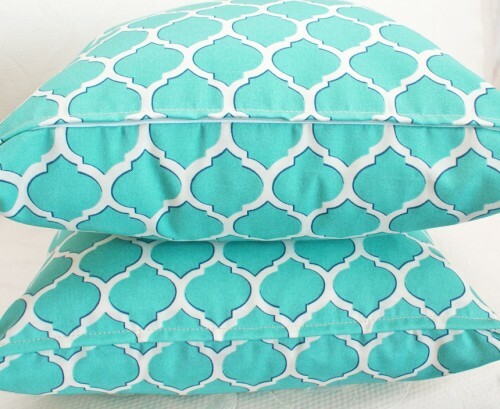 By the way… check back in a few days because I will be showing you `Cheap and Cheerful Summer Pillows`that will be cleared out this month too. 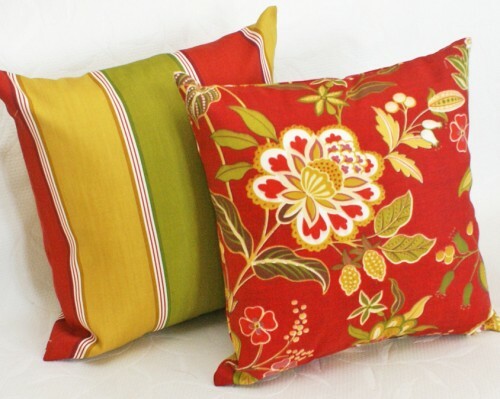 And here is the coordinating floral pillow to the sassy striped pillow above… Love the bold red here! The sassy stripes & floral are my two favourites 🙂 If I didn’t have dogs that would chew up outdoor pillows in a second, I’d buy a few! We have equally good taste as they are my favorite ones too. I love dogs… they keep me in business 🙂 thanks so much for stopping by. 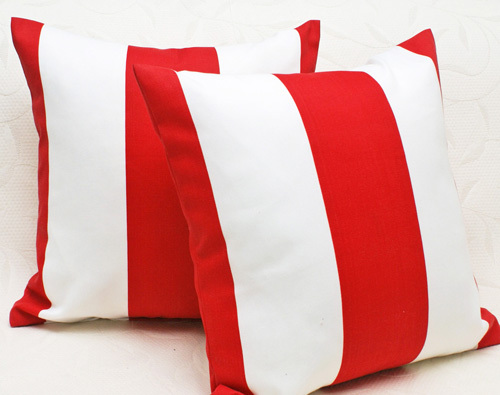 Well , I like the red and white pillows for my green couch for Christmas, but were do you buy them?